Rangers International of Enugu, Nigeria’s sole representative at the 2019 CAF Confederation Cup, are on to a flying run – as their nickname implies – in this years’ tournament with a record of six wins and a draw from seven matches. This places them as a force to look out for in the group stage. The Flying Antelopes’ face former champions CS Sfaxien in Sfax on Wednesday, February 13 and left back, Isaac Louté who has been pivotal to the success of the team in the tournament and says the team is more than ready and have nothing to fear against the Tunisian side. “Rangers have a good record when it comes to playing CS Sfaxien, so don’t have issues about that. As you can see, we are in good shape, we are in good form, we have the confidence of the coach and we the players we have confidence in ourselves and we have been doing well so far in this competition by the grace of God,” Louté said, while speaking to the club’s media. The Beninois international scored a goal against visiting Salitas in the opening match of the group stage from a jaw-dropping free-kick and feels the team is more motivated and ready to battle the Tunisian giants considering the support it has received from the state government and the management. He also disclosed that the six matches unbeaten run is a major boost for the team. “We are going there with full support from our management and the governor and as you can see the smile on our faces, we even have some new kit to make us happy. So going there, we are going with all confidence and good support from our management. “This is a new generation of Rangers that is ready to make record, so the six games unbeaten has given us the confidence that nowhere is home or away from us, anywhere we are going, we are going there to win, that is why it has been working for us. So going there is another boost for us that we can get a positive result there (Sfax),” he added. 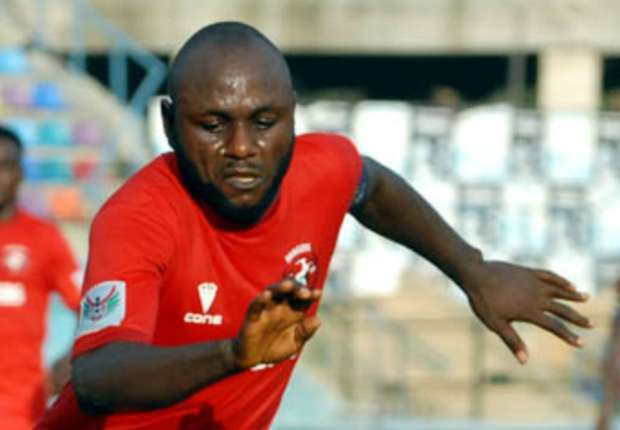 Speaking about his first goal on the continent – which was nominated among the top five goals on Matchday 1 of the group stages – with a broad smile on his face, the former FC Ifeanyi Ubah expressed his joy at getting the stunner to put the Enugu based side further ahead. “My goal being among the goals nominated in the five top goals in the Confederation Cup it gives me another motivation going to Sfaxien, I think if I have that opportunity again I’m gonna score again,” he concluded.